All your life you’ve been hearing about how important it is to drink your milk for healthy bones and reduce your risk of osteoporosis. 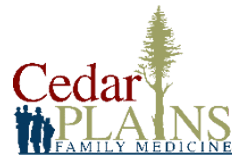 If you weren’t a big milk drinker or simply have concerns about bone health, Dr. Spohn at Cedar Plains Family Medicine in Hickman, Nebraska provide medical management for osteoporosis and can assess your bone health and provide treatment guidelines to help you keep your bones healthy and strong. Call today, or schedule an appointment using the online booking button. Osteoporosis is a condition that affects your bones, making them brittle and more prone to fractures. It occurs when your bones either are losing too much bone, not making enough, or a combination of both. Osteoporosis is quite common, affecting nearly 54 million Americans. Though osteoporosis is often a disease associated with women, it occurs in men, too. In the early stages of osteoporosis, you may not have any symptoms and have no idea what’s going on with your bones. If you have concerns about osteoporosis, Dr. Spohn at Cedar Plains Family Medicine can order a bone scan to assess bone density and your risk of osteoporosis. If you’re experiencing these symptoms, call Cedar Plains Family Medicine to schedule an appointment for an assessment and treatment plan. For women going through menopause, may work with you to develop a hormone replacement plan using bioidentical hormone pellets from SottoPelle® to help protect your bones and prevent further loss. Osteoporosis is a serious, but preventable bone condition. Good nutrition and exercise may help strengthen your bones and prevent osteoporosis. If you can’t get enough calcium in your diet, talk to Dr. Spohn about supplementation. Exercise not only strengthens your muscles, but your bones as well. Bone strength improves no matter when you start. To get the most benefits you should include both cardiovascular and muscle-building exercises. Dr. Spohn can help you develop a program that fits your fitness level. For good bone health from a team that cares, call Cedar Plains Family Medicine, or schedule an appointment online.